EH has completed and submitted the 2019 West Nile Virus Emergency Insect Management Grant Application. We have conversed with our partners and contractors and await the grant meeting scheduled for 4/23/2019. Two staff attended the West Central Vector & Mosquito Control Association meeting in Layton Utah. EH staff has counseled several Food Freedom Act providers on proper food items allowed under the Act. Several plan to get licensed to comply with the Wyoming and Cheyenne-Laramie County Food Rule. New growth remains steady in regulated business areas, food establishments, daycare, massage and water features.Â We have opened several new food establishments and several more are pending opening. Oil and Gas activities appear to remain positive with more growth continuing. The Division attended two Oil and Gas meetings one regarding current activity and another on planned future development. The statistical form for monthly numbers is attached. New loan inspections evaluated were (00). Pre-Existing Loan inspections evaluated were seventeen (17), a decrease in loans of nine (09) as compared to the same time frame in 2018. Residential septic permits issued were four (04). Commercial septic permits issued were three (03). Repair septic permits issued were (00), a decrease of fifteen (15) as compared to the same time frame in 2018. Septic inspections were four (04), a decrease of seven (07) as compared to the same time frame in 2018. 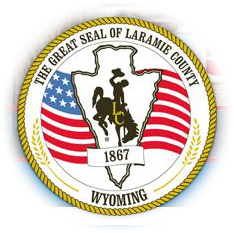 Staff reviewed eleven (11) Cheyenne and Laramie County Site Plans. Food Service Regular Inspections: 33 Total inspections were 96. Itinerant (temporary) food service permits issued: 03. Issued for the year: 05. School Food Service Inspections: 12. Bed & Breakfast Inspections: 2. Staff investigated (00) communicable disease reported cases. Staff inspected one (01) swimming pools, spas, or similar installations in March. Staff inspected (0) campground facilities in the month of March. Staff inspected one (01) massage therapist and five (05) body art establishments for the month of March. One (01) new body artist was licensed in the month of March. Roy Kroeger attended: I Am Environmental Health at Colorado State Univ. Approximately seventeen (17) water samples were drawn for March. (15) were satisfactory. (00) were unsatisfactory. No human cases of WNV reported to date. No firework stands inspected for this month.